Thank you Adam Machanic (B | T) not just for Hosting T-SQL Tuesday #100 but also for starting this fantastic learning and sharing experience. 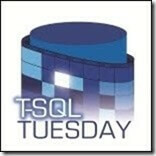 This month’s topic is “What would the world look like when T-SQL Tuesday #200 comes around ?” in my opinion. 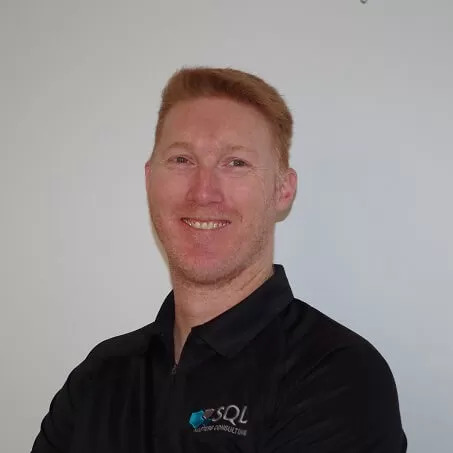 Adam has given us a little bit of free reign for this special event and so I will take you through my thoughts on my vision for the next 100 Months (8 Years & 4 Months) in this Industry specifically for SQL Server. My time over the last 100 month’s has had a massive change in my career and what I have learnt, the rate of change of technologies, processes being undertaken, it is hard to keep up and track of everything over that time. With that, looking forward based on reflecting on the past is what my post is about. Late last year I wrote a post “Embracing Database DevOPs”, in which I start off with experiences from interacting with attendees at conferences and clients and former colleagues asking about the role of a DBA and is it going to disappear. My response in this post was “No, I do not believe the role is going away”. With that said, in the context of this post looking forward 100 months and having read a lot of articles and discussing this with a lot of colleagues I do believe that things are changing and will have changed drastically by the time T-SQL Tuesday #200 actually comes around. The biggest change I see coming by T-SQL Tuesday #200 is that inability for new talent to come into the industry. With the introduction of Self-Service this, Self-Service that, Automation this & Automation that, while I agree this is a requirement to allow business to continue to grow and allow those core tasks that can be completed on a repeatable, consistent manner allowing staff to meet the saying “Do more with less” and focus on those tasks that provide more value and growth for the company. This is not something that is new or specific to the IT industry, This is progress and innovation at work. Unfortunately this rapid change and innovation that is being experienced and is going to continue to accelerate even quicker across the next 100 months, is going to provide challenges and change the landscape of the role of the DBA or Data Platform professional. What do I mean by this? Well like many of you who are also writing for this blog post, I started my career many years ago and even though I went to University and completed a Bachelor’s degree in IT, I had to learn how to do my job and get experience and knowledge about the technology I was working with. How did this happen? Well being a junior team member, learning from more senior and more knowledgeable team members and working through understanding those very important tasks that now are being automated. Taking this one step further and add in the explosion that is Data Platform. The traditional DBA is faced with now such a wide spectrum of technology and enhancements that it is becoming difficult to keep up and understand what should be used and implemented in their environments that they are supporting. The identifying and implementation of automation will assist in having more time to learn about and implement any of those new technologies or enhancements to the betterment of their employer. But how do you do that? Enter the picture, the experienced specialist consultant, who provides the ability to assist with introducing the new technologies, features and processes. Is the position of a Consultant something a new starter or career change person could fall into? Probably not. With the increase in automation what level of skill set is required to be a DBA? Can a new starter or career change person become a DBA? Are you looking for a Job or a Career? If it is a Job then I believe that by the time T-SQL Tuesday 200 comes around then new starters or junior positions will find it extremely difficult to continually get and hold a Job as a DBA. I am saying this as I believe that by the time T-SQL Tuesday 200 arrives, the baseline for the DBA is going to require the knowledge and skill sets of someone in the position now with quite a bit of knowledge. Nearly all of those base level tasks that allow junior positions to be filled will be being completed by automation and as such the requirement for a more in-depth knowledge of the product stack will be required. If you are not prepared to invest in yourself and make a career out of working as a Data Professional, in 8 years 4 months time things will have moved on very quickly and the entry level bar will have been raised drastically. Aside from the increased level of automation, increased level of product / technology knowledge the additional point that will also lead to a skill shortage by the time T-SQL Tuesday 200 comes around is the role definition of a DBA. Currently the role definition is being determined by people in positions that do not understand what a SQL Server Database is, what a DBA needs to do or what that role requires from a technical point of view. As such there are many misconceptions currently that a DBA is only to ensure the environment is available and recoverable. Ie implement Backups, Implement Maintenance on the Database and monitor the Database ensuring the performance is ok for the Business. Unfortunately there are many people who have joined and are joining the Data Professional ranks and are shaping the roles without a full understanding and as such is leading to poorly designed solutions, decisions made on the technology to be used, How to implement the technology and all this unfortunately is to the detriment of business and staff. As this is a look into the future, I will have to come back and revisit this post when T-SQL Tuesday does come to town. In the meantime have a think about what you want your career to look like in 8 years and 4 months time. I am a Microsoft Data Platform MVP as well as a Microsoft Certified Master working as the Principal Consultant here at SQL Masters Consulting. When I am not working with the SQL Server Stack I like to get away to the Snow and spend time Snowboarding.